For all those busy mums out there dying to get back in shape. This book gives you 99 fun ideas for how to run (or generally improve fitness whilst burning calories) with your offspring in tow. With dedicated sections taking you through the various stages of your childrens development, there really is no excuse. As useful for absolute beginners who are clueless about where to start as it is for seasoned runners who are now struggling to fit it all in on top of family life. There is even a bonus section on how to cope with a not so supportive ‘him indoors’. The book suggest practical solutions to time management and endless creative ideas for burning calories whilst being a super mum and deals with the guilt we often feel as mums when seemingly we put our own needs before those of our families. Ever had dreams of becoming a runner, going to the hassle of buying new running shoes, setting off for your epic first run and then after 30 seconds of complete mayhem you realise that its REALLY not going to happen? 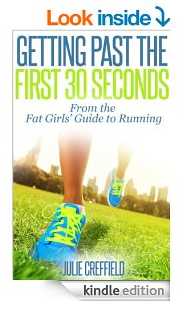 This book explains why the first 30 seconds of running is so hard, and offers some tips and tricks to keep you going. It challenges you to get out there and simply run three times a week for three weeks using these common sense strategies to see if you can notice an improvement and break that half minute barrier. Having gone from a 20 stone, cheesecake eating party girl to a sub 6 hour London marathoner, she herself started from scratch too. So if anyone knows how difficult it is to run for 30 seconds straight as a beginner or returner she does. In this ebook she uses her 10 years of running experience to get you off to the best possible running start and past where most people call it a day and decide that running is not for them. 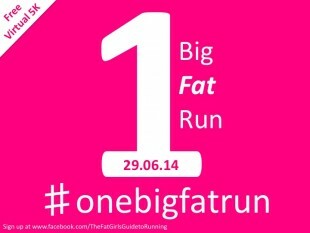 Have you ever considered running a 10K but then thought better of it? Or started a couch to 5k programme and given up training half way through because it was seemingly too hard and progress was too slow? Then this is the book for you. With 10 straight forward training sessions, a simple to follow nutrition plan and tricks and tips to maintain motivation, this book gives you all the support you could possibly need, bar running the thing for you. Designed for those new or returning to running there is a focus on supporting athletes with a few extra pounds to lose and it is written in a simple to follow way without the unnecessary running terminology or complicated pace/speed formulas of other training guides. This is what people are saying about my books on Amazon!!! Julie writes with simplicity, honesty and personal experience. Shes not fat girl gone thin but still a fat girl aiming for a healthier lifestyle who runs an d wants to inspire all budding running enthusiasts to do the same! Running takes effort – full stop! This book eases you into it and sets you up for success! I would highly recommend this book to anyone who never thought he/she could do it but believes enough in themselves to just give it a try! Happy Running! So I read the book and I signed up for the10k. Yes, I’m training for a 10k. This book is a really easy read and has definitely motivated me to go for it. Worth the money for sure. This eBook is amazing! Julie really breaks the training down for beginning runners and makes the goal of completing a 10k seem easy and attainable. This book is beneficial for all levels of runners- even if you have completed a 10k, a new training plan will only help your running. I look forward to more books from Julie…perhaps a marathon training guide for dummies?!?!? Wow! 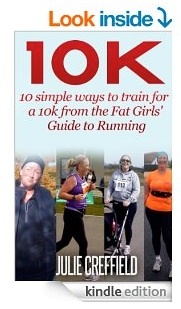 Finally a book with a realistic and straight talking strategy for reaching the goal of running 10k! I love the fact that I can choose how I’d like to structure my program and there are so many options for exercise. Nothing in it was beyond reach of even the beginning runner. It’s great to be able to have the detailed descriptions of each of the exercises to refer to and to come back to during the training period. This is an excellent go-to guide for any new or returning runner, who has the desire to get out and run 10k, but isn’t sure how to go about it. The book is concise and simple enough that you can read it, get your shoes on, and be out of the door on your first run within a matter of hours. The author tells it like it is; she is supportive enough that anyone will feel that they can run 10k, but direct enough that she makes it clear that you need to put the work in! There’s also nutrition advice that cuts through the fad diet nonsense that we’re fed on a daily basis. 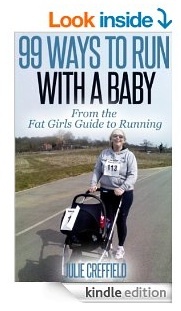 The book has motivated me to sign up for my first race in a good few years, so I would wholeheartedly recommend it.